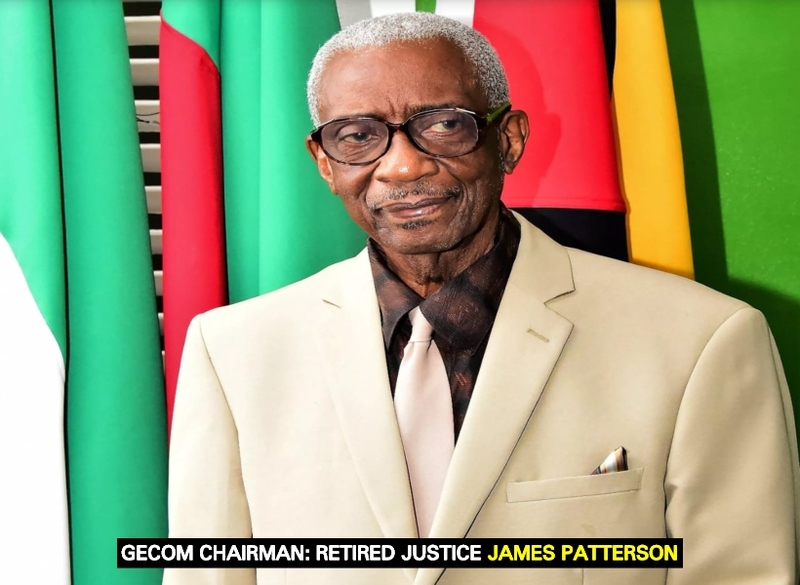 Chairman of the Guyana Elections Commission (GECOM), Justice (Ret’d) James Patterson, is running the independent body as though it were his personal courtroom. This statement made today by PPP appointed Commissioner, Robeson Benn and was supported by his colleagues, Bibi Shaddick and Sase Gunraj. He was at the time speaking at a press conference that the trio held at the Office of the Leader of the Opposition on Church Street. There, the PPP members sought to register their disappointment and disagreement with a letter written by the Chairman to President David Granger today. The GECOM Chairman informed the Head of State that the earliest time in which General and Regional Elections can be held is late November 2019. This would follow after the completion of house-to-house registration. The PPP Commissioner is of the firm belief that the letter by the Chairman was all planned a long time ago since it comes just two days before the country purportedly slides into a Constitutional crisis. As for Commissioner Sase Gunraj, he disagreed with elections only being possible in November following house-to-house registration. Gunraj stressed that house-to-house registration is a matter of policy. He said, too, that he and the other PPP Commissioners have asked for evidence which says that this must be done this year, but noted that it was never provided. Further to this, Gunraj and Shaddick said that they do not believe that the letter was written by the Chairman as it does not match his writing style. They, however, refused to provide a name of who they believe may have written the letter. Meanwhile, when asked by members of the media what would be the PPP’s next course of action, Gunraj chose not to divulge any details. He said that the element of surprise is necessary to give maximum effect to the options before the political opposition.